Did you feel some frustration in March, Virgo? If so, Mercury retrograde likely contributed to any setbacks or slowdowns. Mercury retrograde brings extra challenges for you, Virgo, because this little planet rules your zodiac sign. Now that it’s moving forward once again and the Sun is lighting the sky in “I’m the boss!” Aries for the first three weeks of April, you may feel tempted to get on with your life at top speed. Do hold off just a little longer, though. From April 1 through 5, the Moon will be at the close of her monthly cycle as she moves through the balsamic Moon phase. That’s the quietest, most dreamy and mysterious of all the Moon’s many phases – and the best for meditation and introspection. If you wait until the new Moon of April 5, you’ll have better support and can make any new starts you wish. With the Sun now shining in fiery Aries, you have your best time this year to focus on shared finances. Target April 5 to move ahead on anything related to money you share with other people. That could involve your spouse’s income, if you’re married, or it could relate to negotiations with an ex over alimony or child support. This part of your chart also governs funds you receive outside your regular salary, such as insurance settlements, commissions or royalties, gifts, and inheritance. It also is associated with loans, credit, and venture capital. If you need to make strides in these areas, get started this month when energies support progress. This period also supports your need for inner seeking through spirituality. 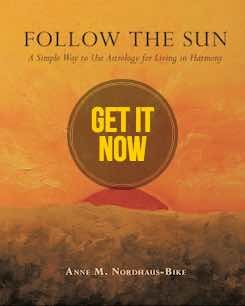 Explore life’s mysteries through meditation or take a class on paranormal or mystical topics. Pay attention to intuition and follow hunches because they’re likely to be accurate. On April 20, the Sun leaves Aries for comfort loving Taurus. That’s your signal to shift focus toward how you expand – both on the outer plane and the inner one. That need for growth could spur action related to immigration, visas, or passports. You may feel drawn to explore the world through travel. If so, you may want to go first class if you can afford it; otherwise, you’ll have luck finding travel bargains thanks to Taurus’s practicality. If you’re not focused on overseas journeys, you may explore other cultures through trying different cuisines or going to arts events featuring international guests. This part of your chart also relates to higher education. If you’re at college, you may apply to study abroad or seek a place in a graduate program. If you’re working, you may seek ways to further your education through benefits paid by your employer. The full Moon on April 19 will be the second in a row in balancing, fair minded Libra. Use clues from that period to guide you this time. You may learn important news related to your job or coworkers, a client, or your chances for a raise or promotion. If you’re up for advancement or in the running for a new job, you may hear information around this date. This part of your chart also relates to your values (and valuables), and you may have a breakthrough that influences your career choice or your perspective on possessions. Pay attention to any information revealed during this time. 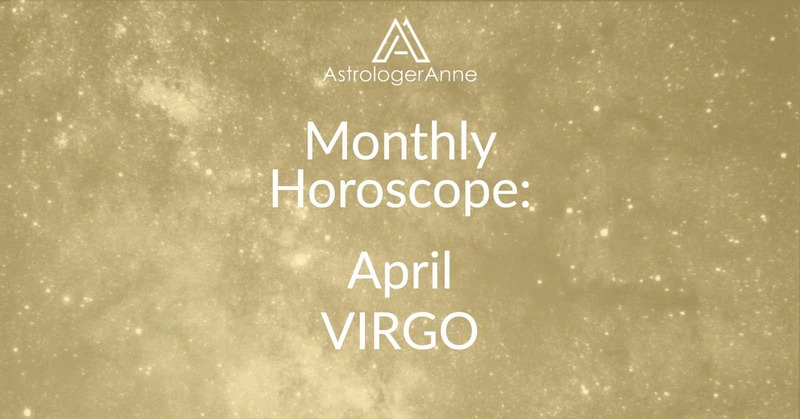 Have a happy April, Virgo! I wish you a wonderful month!